Okay, so I admit I'm kinda weird. I latch on to some odd news and stories of the day. Well I found another story that reminded me of my youth... 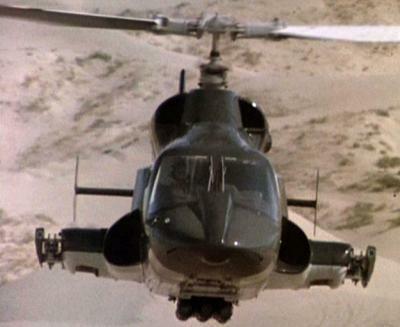 I know there are some big fans of Airwolf out there. You know, that 80's television series with Earnest Borgnine.. and the stealth supersonic helicopter with an impressive arsenal of weapons always ready to go.... That was on roughly around the same time as Michael Knight and the Knight Rider. just to refresh your memory.. I found the show open for you. But here's my point... There's an American company that has comeup with a way to get rid of the Helicopter sound.